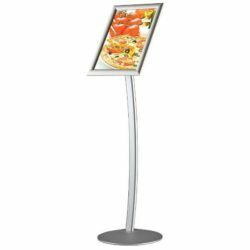 Viewable Area: 10.29" x 16.29"
Our new stylish curved Sign Holder captures the customers’ attention in all frequented traffic areas. 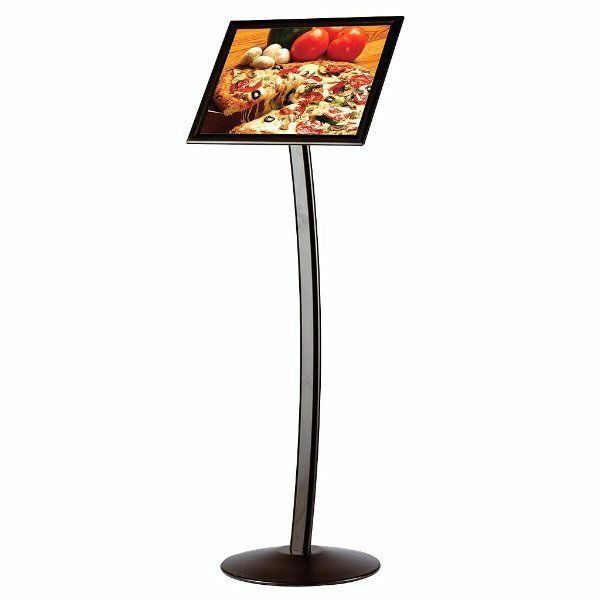 The Curved Sign Holder is suitable for use in hotels, galleries, museums, restaurants, lobby, bars, etc.. 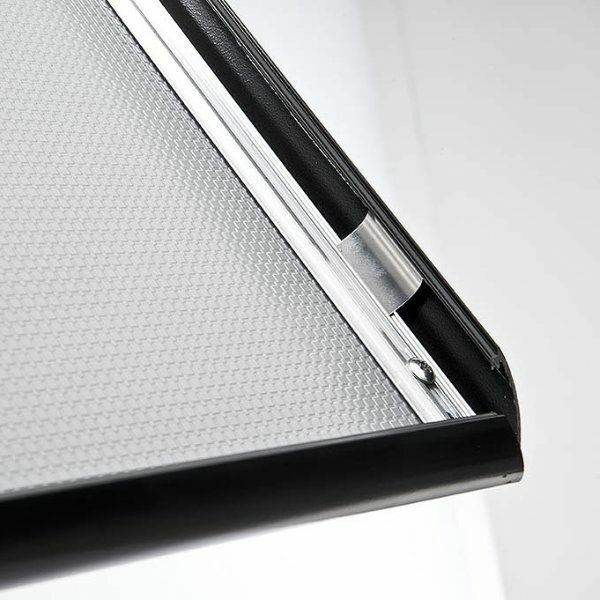 It can be used as switchable; portrait and landscape positions. 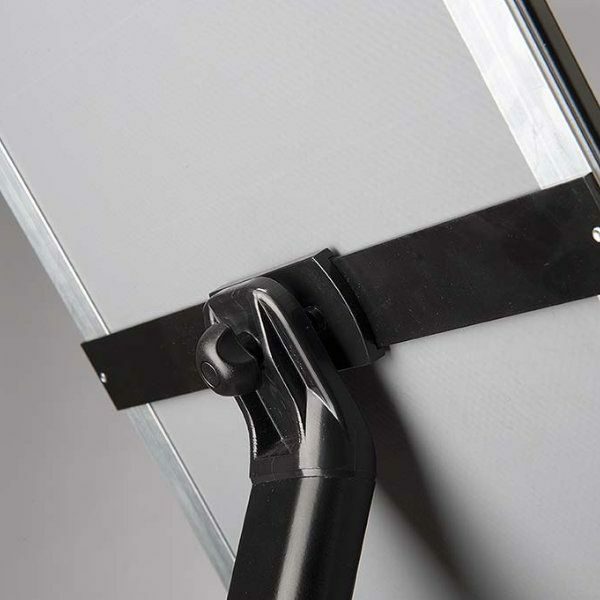 Curved Sign Holder is packed unassembled with complete instructions and fixing hardware for assembly. Heavy elegant base provides stability. 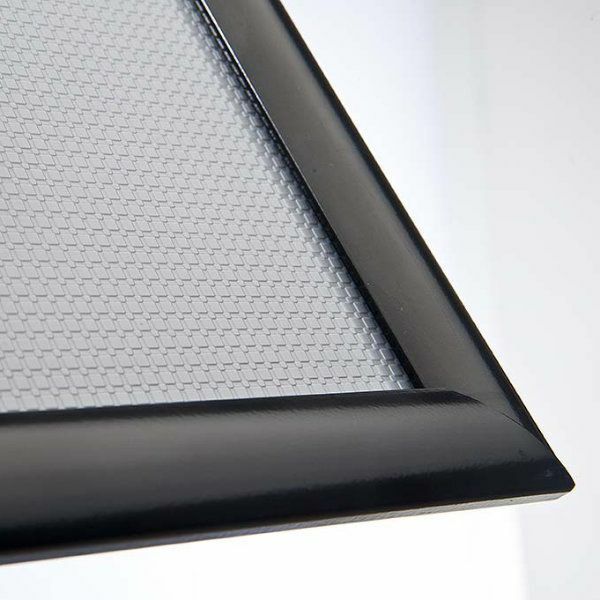 This poster holder, thanks to its aesthetic curved post, is attention catcher. 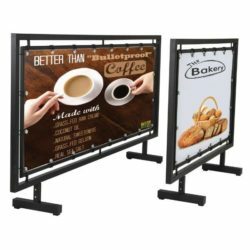 You now have a display that is stylish, high quality yet budget friendly. 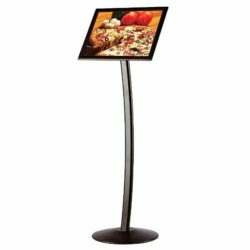 These curved poster holders are one of the most selling products of Displays Market. 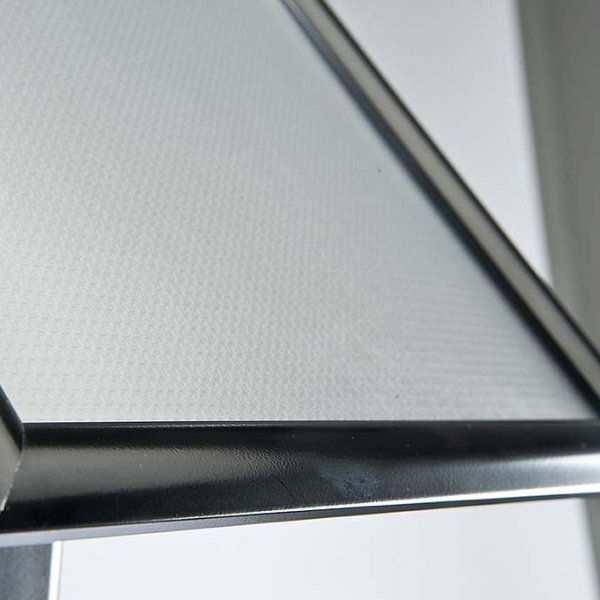 Each floor standing sign is constructed with metal to make it durable. 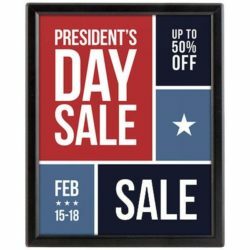 Once you buy this poster holder, it can be used for years. 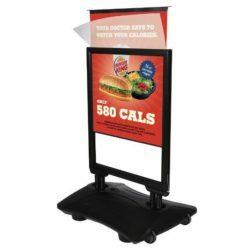 Restaurants and cafes buy this curved poster stand to display their menus or specials in their entrances. 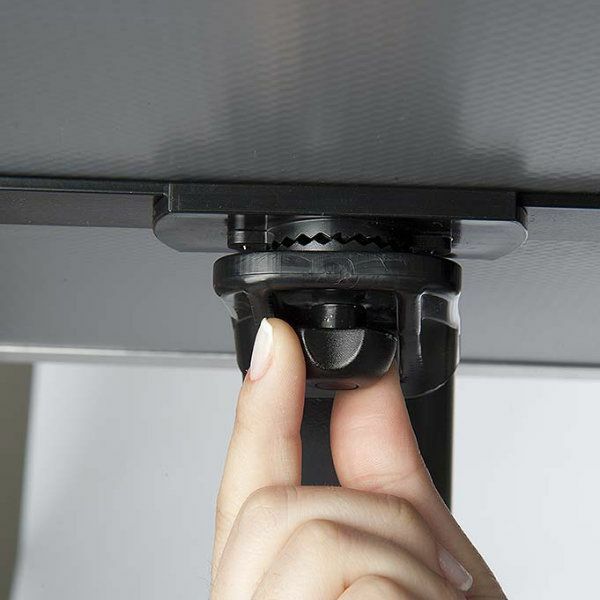 Use of this poster holder is so easy that the insert can be changed as often as needed. 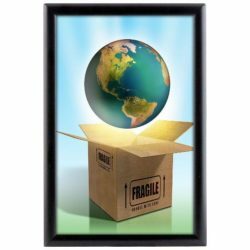 Just flip open all four edges of the frame on the top and place the graphic, then the protective, non- glare over lay and snap close. Takes less than a minute! 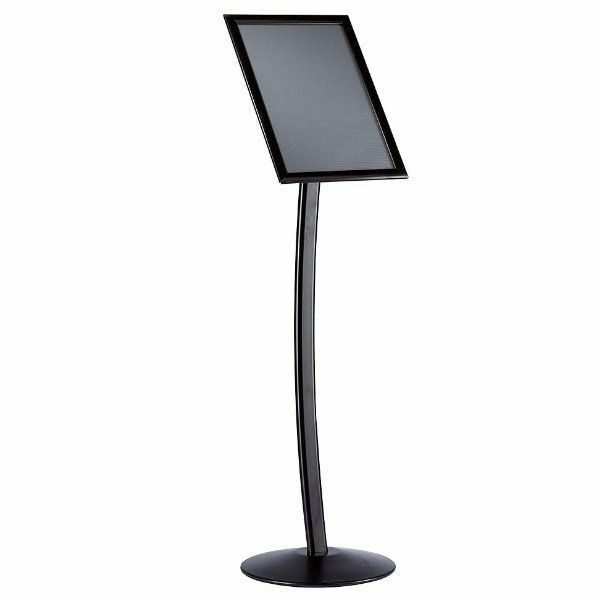 Moreover the feature of positioning the frame at different angles is also available with this floor standing sign. 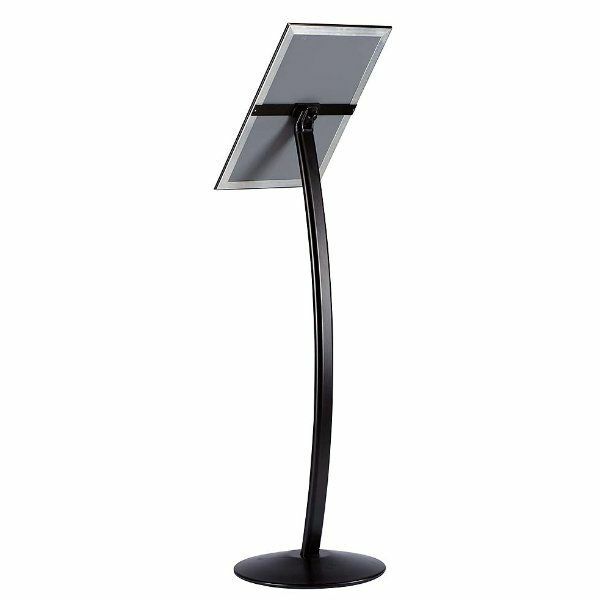 This curved poster stand comes in a flat box to minimize the freight cost. 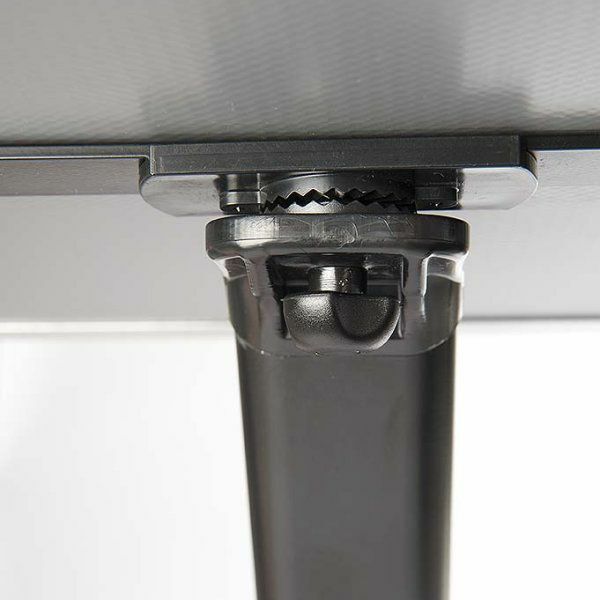 The box includes all required assembly parts as well as a manual.